The motto of Allen International House is “we rise by lifting others” – Allen House looks forward to fostering an environment where the house residents learn the true meaning of the “leadership of service”. In order to put forth this idea of servant leadership, one of the major programs operated by Allen this semester aims to promote the value of community service. About forty students participated in the volunteering program for child cancer awareness on September 18th. 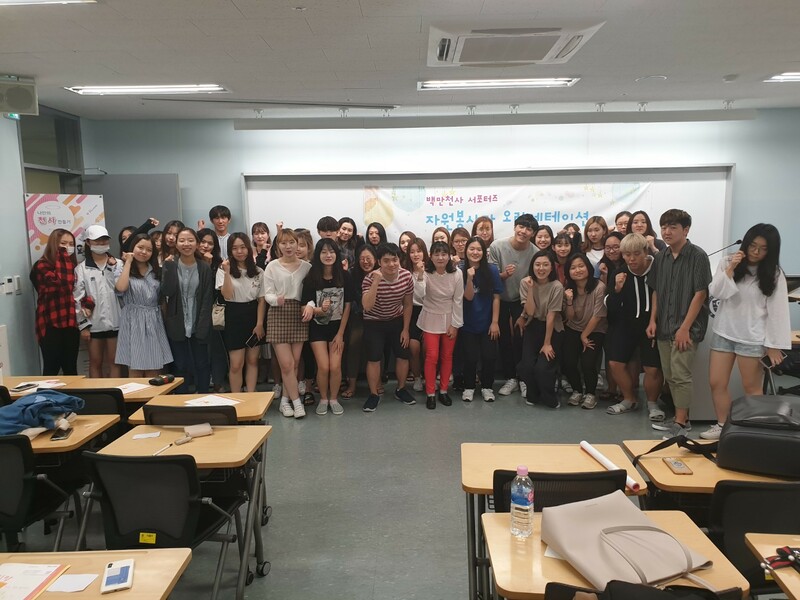 This program was arranged with the assistance of Korea Pediatric Cancer Foundation, as an instructor visited Yonsei International Campus to give a lecture on the public awareness status of pediatric cancer in Korea. From the lecture, students were able to gain a better understanding of what kinds of difficulties children with pediatric cancer go through, and the various efforts they can make as students to help those children. 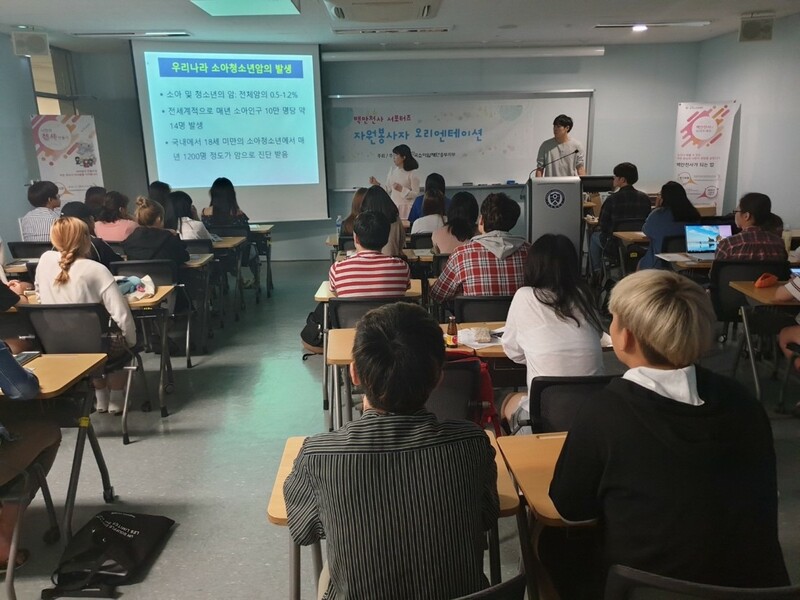 As part of the Allen International House, the students that day participated in one of the translation volunteering programs that the Korea Pediatric Cancer Foundation runs regularly. With their laptops ready, the students helped translate materials regarding pediatric cancer from English to Korean. With the enhanced informative material, the awareness regarding the illness in Korean communities would be heightened. 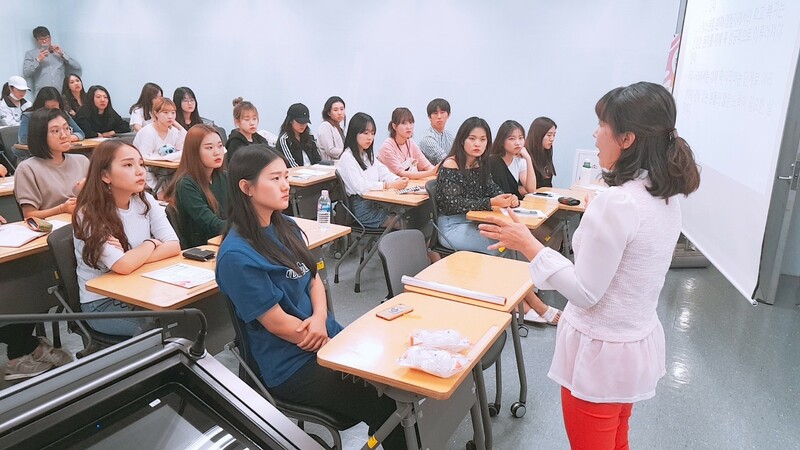 The students not only learned about the issues of this particular disease from a professional educator, but also obtained the opportunity to get a hands-on experience of making a meaningful change themselves. By lifting children, Allenians practiced their leadership of service to start off the semester.